Did you know there were Chinese who fought in WWI? Me either! It was mostly a diplomatic move. The Chinese government want a place a the peace table; they wanted the world to know they could play with the big guys. At first the British government refused the offer but after a huge loss at Somme they realized they needed warm bodies to load trains, build roads and clear battlefields. The British started recruiting in the northeastern portion of China and tens of thousands of poor peasants decided to try their luck in Europe. ""I would not even shrink from the word Chinese for the purpose of carrying out the war,” said Winston Churchill, a member of parliament 24 years before he became prime minister. 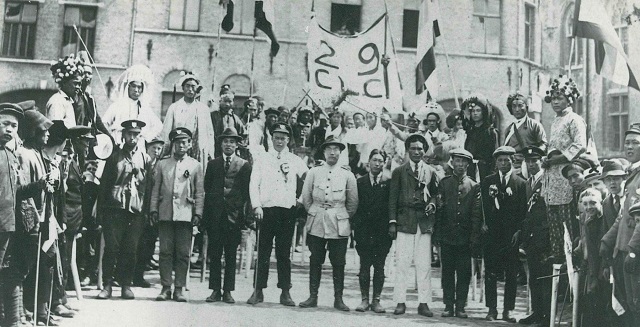 “These are not times when people ought in the least to be afraid of prejudices.”"
The first wave of Chinese (about 40,000) arrived at the Western Front in 1916 and were taken in with the French Army. The second wave (about 95,000) joined the British Army in 1917. 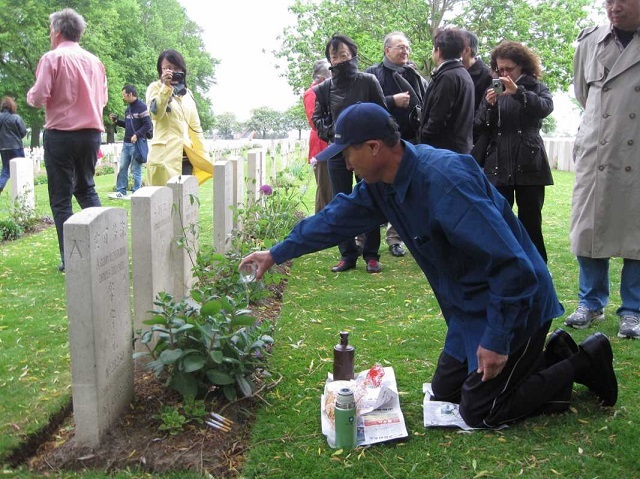 The Chinese Labour corp landed in Flanders Field in July 1917. "They were deployed for the loading of ammunition and goods trains in the sorting station, for the building of roads, and in ammunition depots. Their contracts were not terminated when the war came to an end: they would remain active in the Flanders Fields district until 1919, helping to clear the battlefields, to dismantle railway lines, and to dig up and remove bodies." 1834 Chinese lost their lives during WWI. "On 15 November 1917, thirteen Chinese labourers lost their lives in a direct shell hit on the camp in Busseboom (Poperinge). They were buried near the Roobaertbeek stream; later, their bodies were exhumed and transferred to Bailleul. Research into those thirteen Chinese workers has yielded not only their names, but also contact with the families in China. On 15 November 2017, a memorial was unveiled at Busseboom to remember the fallen labourers." History is very interesting; it makes me think about how people in the future will regard our present (which of course will be their history, so to speak). I'm sure that the history books will have a lot of things to say about the political scene these days.